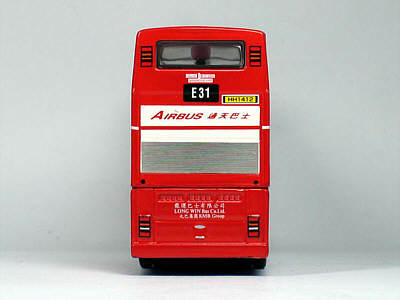 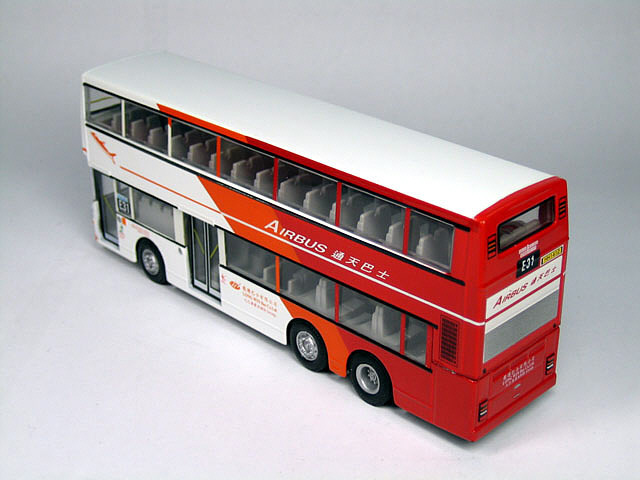 The model - Corgi's original intentions were to allocate product codes 43211 and 43212 for two Long Win Bus models, these representing two 11 metre vehicles, which had received experimental liveries. Corgi had already issued a standard liveried model (see 43208). This model is a pre-production example of what was planned to be 43212. This model was scheduled for release in June 1998, but owing to problems, believed to be related to licensing problems from Long Win Bus, it was never released. 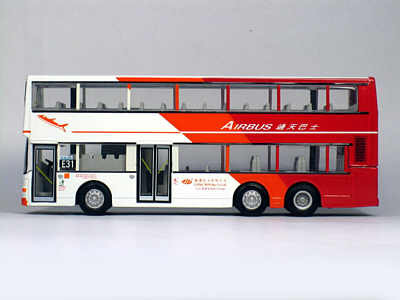 The product number 43212 was eventually used for the second of three New World First Bus Volvo Olympians. 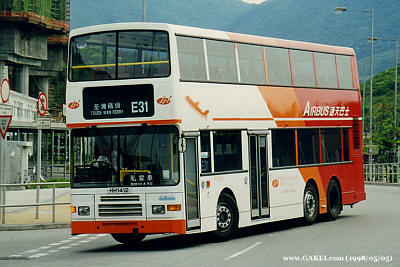 The bus - KMB loaned 5 Volvo Olympian 11 metre air-conditioned buses (fleet nos. 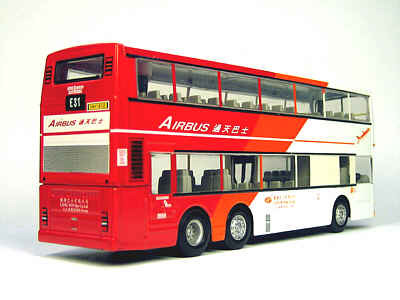 AV238-AV242) to Long Win Bus, prior to the arrival of their Dennis Tridents. 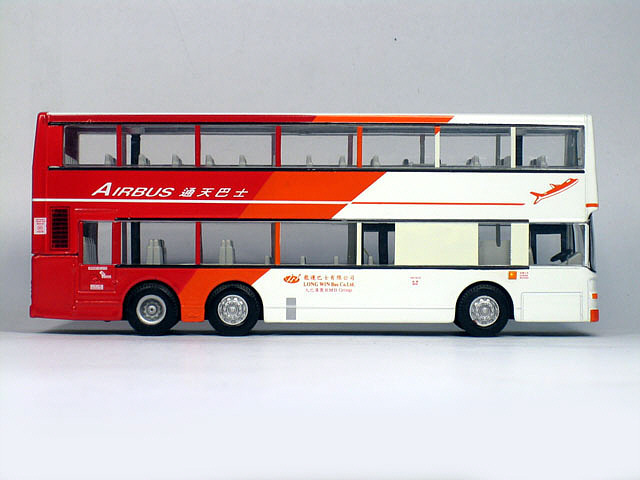 Two of these received experimental Airbus liveries, of white/orange/red and white/red. 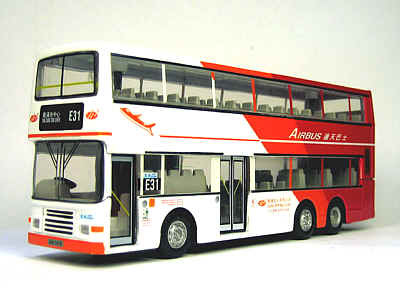 This model carries the former and is based on AV239 (reg. 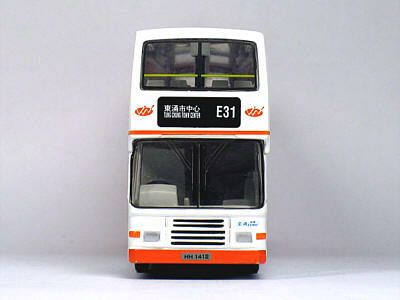 HH1412).